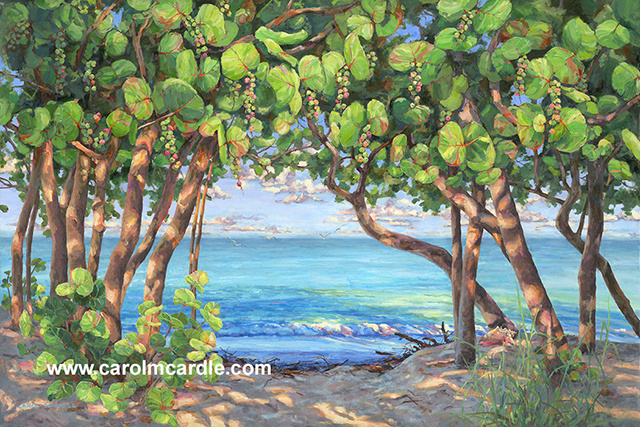 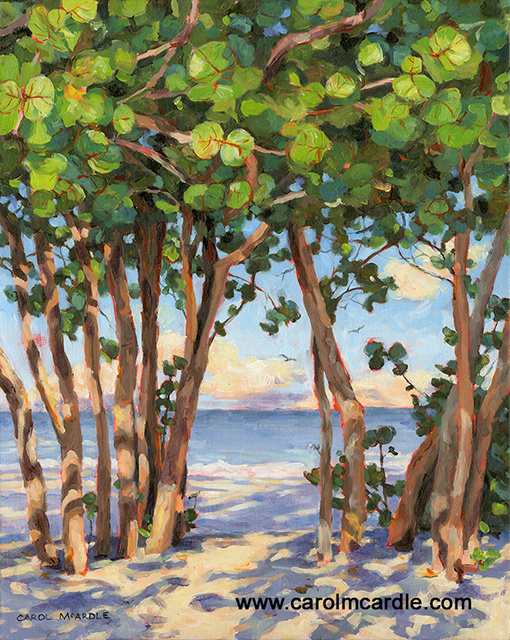 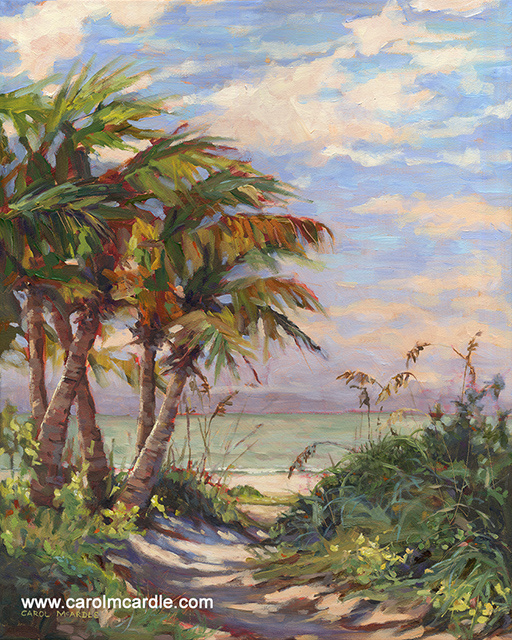 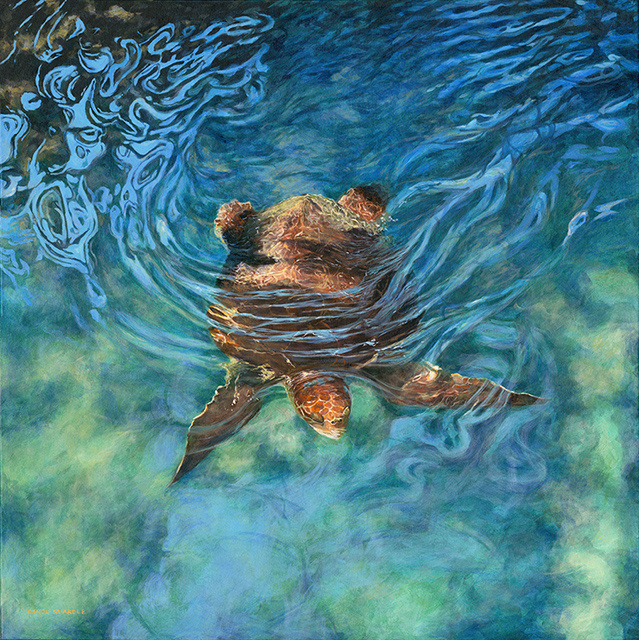 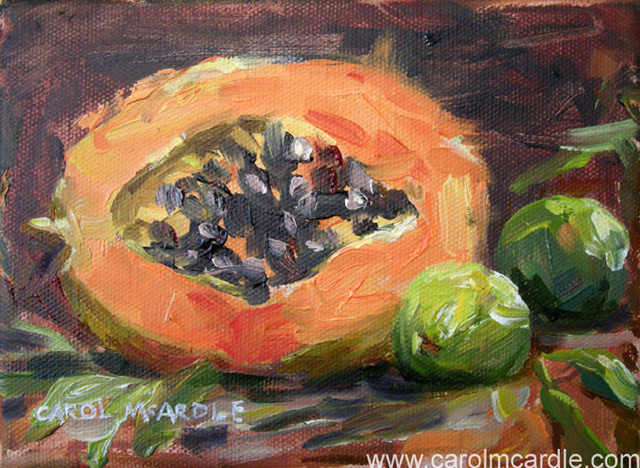 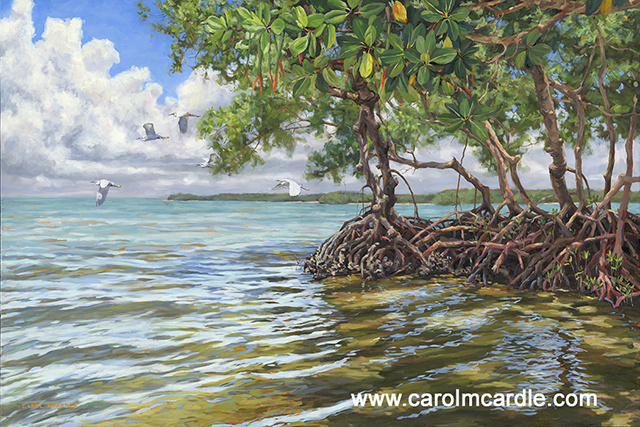 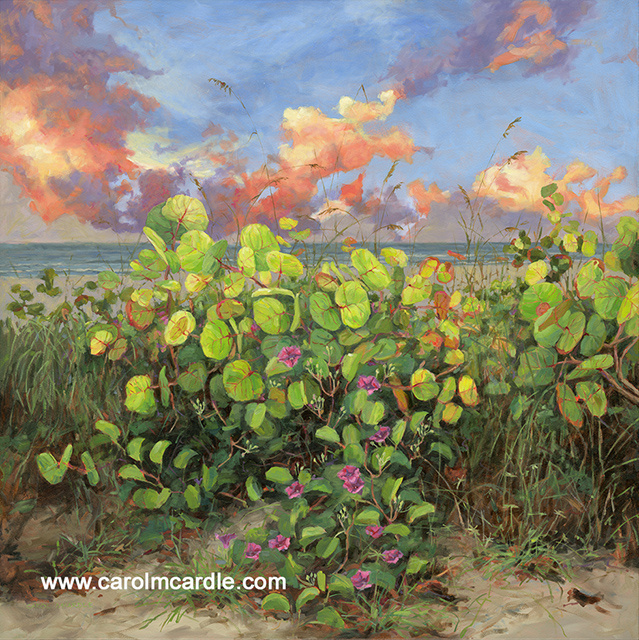 Carol McArdle's nature paintings capture the tropical beauty of Florida beaches, sea grape trees, palm trees, mangroves and more. 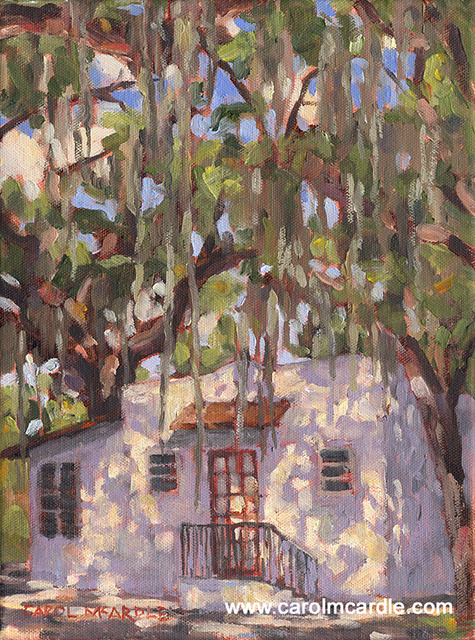 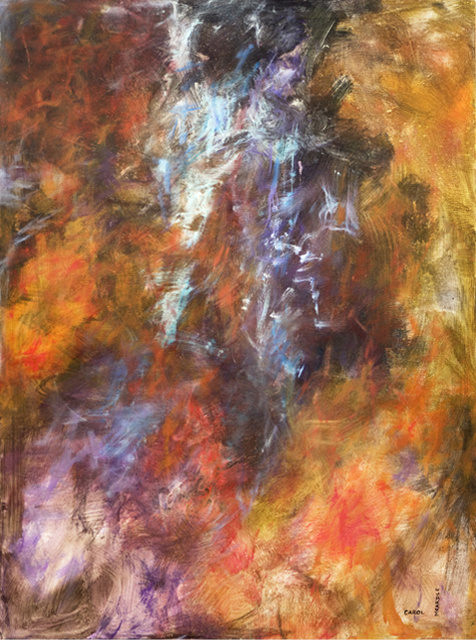 Her paintings have won awards and grants and have been shown nationwide in museum exhibits. 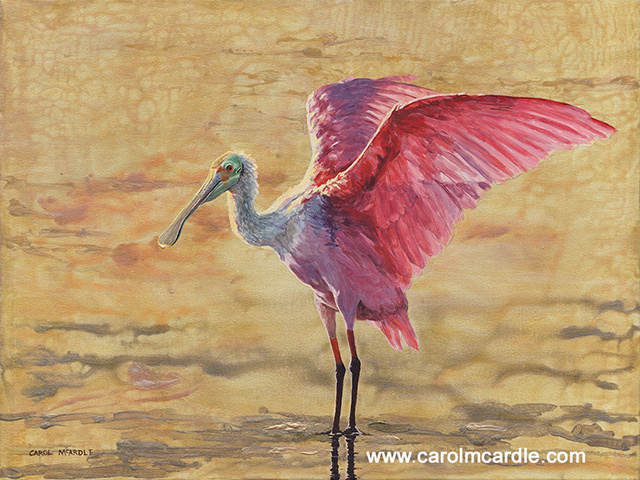 Carol paints a variety of sizes from large studio artworks down to miniature paintings and also small plein air pieces painted on location.